For many bikers, their favorite childhood memories revolve around their family and motorcycles or dirt bikes, and they pass this love along to their own children. If you’re new to biking and would like to get your children involved, here are a few tips. Begin as early as possible. Young children tend to be fearless, and the motorcycle will fascinate them. If bikes are part of their lives from a tender age, they are less likely to be afraid of them and more likely to enjoy riding them. However, if something goes wrong, the child may become so fearful of motorcycles that he or she never rides again. If you are new to riding yourself, you may wish to wait a year or so until you’re confident in your riding ability—or ask a biker friend to help you introduce your kids to motorcycles. Well-meaning family members or friends may try to discourage you from teaching your children to ride. Remind them that this is no different from taking them fishing, skiing, hiking, or go-cart racing. As motorcycle and auto accident lawyers who handle all types of accident cases, we know that many outdoor activities can be dangerous to children without appropriate adult supervision and common sense. Biking is no more or less hazardous than other activities. 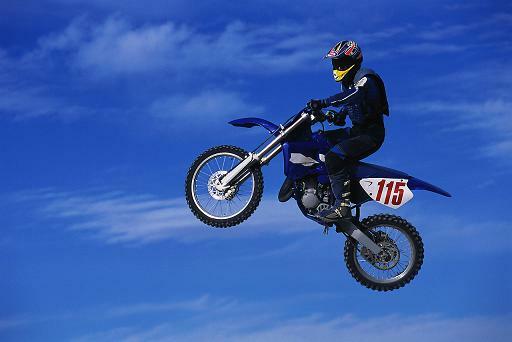 Take your child to a motocross track or other dirt bike gathering to watch—preferably one where children are riding. Introduce your child to other kids who ride. Buy your child some protective gear and allow him or her to get used to it. Ask your child to help you wash or work on the bike. Sit on the bike while it’s off, put the child in front of you, and let him or her grab the handlebars and pretend to ride. Start the bike, safely set the child on it, and let him or her acclimate to the sound and feel. Take the child for a short ride across the street. Be ready to stop at any time. Do not push your child to go farther than he or she is willing. This is not to say that you shouldn’t encourage your child to face fears, but if he or she expresses extreme reluctance or has a fearful reaction, back off a little and try again later. Every child reacts to bikes differently, and each has his or her own timetable for learning to ride. Be aware of your child and adjust accordingly. What tips would you offer for teaching kids to ride?